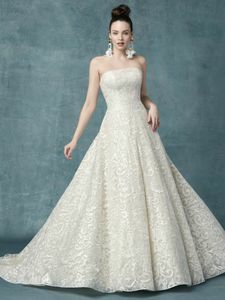 Description: This breathtaking ballgown features allover embroidered lace atop tulle. Complete with a modern straight strapless neckline and subtle V-back. Finished with covered buttons over zipper and inner elastic closure.